Spa is the playground of MTB-School.com, and one of it’s instructors was so nice to take us on a tour of Spa and treated us to an epic ride. 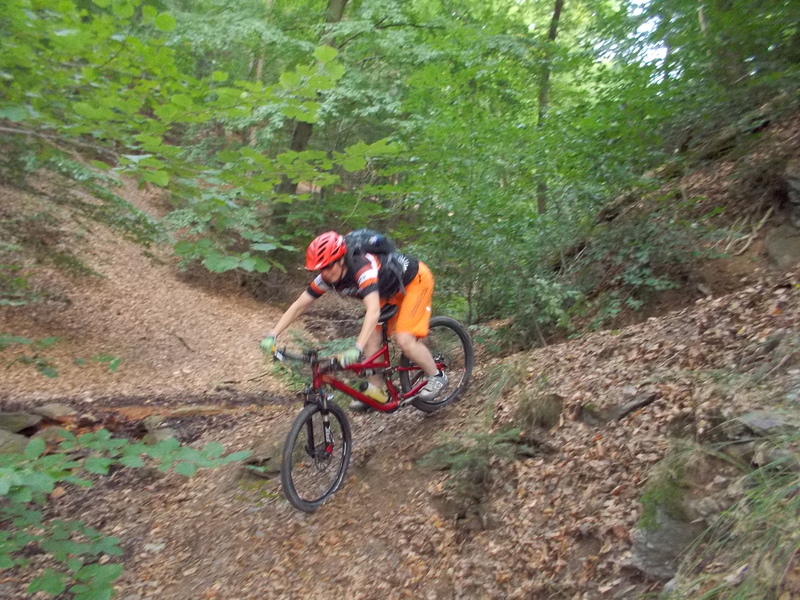 Including a climb of 20% over 400 meters, countless tight corners and fun singletracks. We didn’t know Spa was this much fun! We started at the Spa d’or camping-site and it didn’t take long before we where in climbing position, going up! Spa is an excellent place to train technical skills, but also your climbing skills: many steep climbs to be found here! (and we must admit: we kinda liked it, we’re getting good at it!). To get to the nice part, we had to walk a steep uphill with the bikes on our backs. A new found respect for Transvesubienne riders and riders of other events that have many walking parts like this. It’s hard work! Piet advised us to train just walking and get the calves some extra work in uphills, it’s a much underestimated part of Alpine riding and he figured it’s a make or break. Not just for a result, but for your mental state and recovering speed during the day. We’ll keep it in mind! Thanks Piet for an epic ride! Did you check the site? 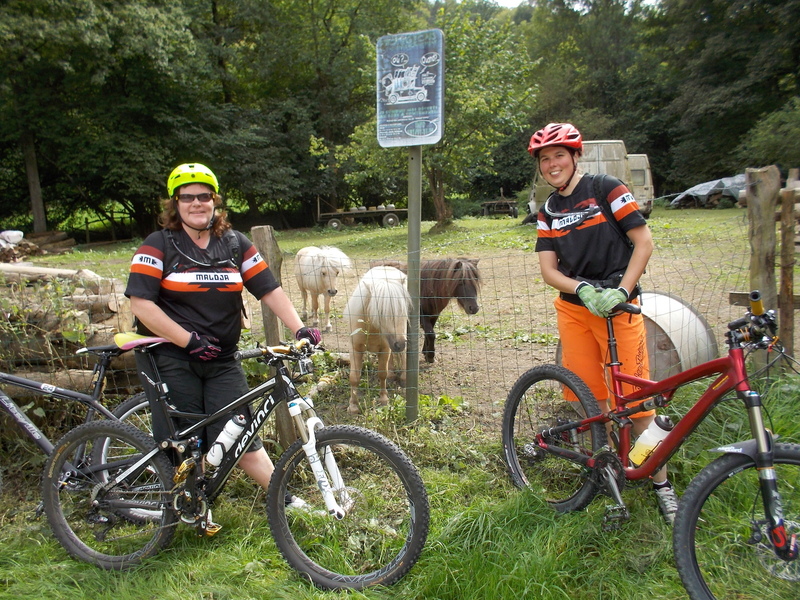 Please visit MTB-School.com, a great day of riding and a skill booster too. For our friend Marieke 😉 we miss you!